Jack Frost has forgotten us. Our weather is ridiculous. It’s muggy and hot in December. That is NOT okay. The Flubola is knocking everybody down for a while, the students are dropping like flies, and the teachers are begging for mercy. 4 more days until relief. Since December is my second-favorite month (October still reigns supreme since it’s the unofficial beginning of the “holiday” season for most of us who do not decorate Hobby Lobby), my daily posts are just rambling tales of all things Christmas. Baking, eating too much, parties, crafts, hot weather running, movies, music, and plenty of holi-crazy. Hang on to your hat, folks. It’s going to be a fast ride until the January arctic freeze takes away my will to live. See what I did there? Complain about the humidity while being a January realist. We all know my favorite weather is partly cloudy and 55*. 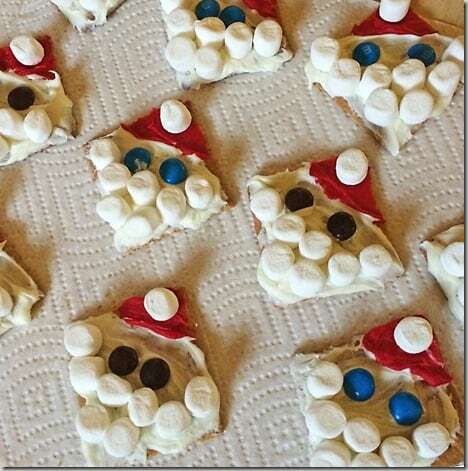 Check out what my students got to enjoy for their Santa snack. The last week of school before holiday break has nightmare potential. A couple of years ago, we (teachers) decided to make a theme day and just embrace the chaos. Crafts, ornaments, stories, and snacks around the day’s theme gives the kids an outlet for all the hype and energy and honestly, we love it just as much as the kids. In previous years, we had to do the ol’ “shut the door and hope we don’t get caught” by our building admin. Fun was frowned upon. This year, things are so different and in a very good way. We made these in class. 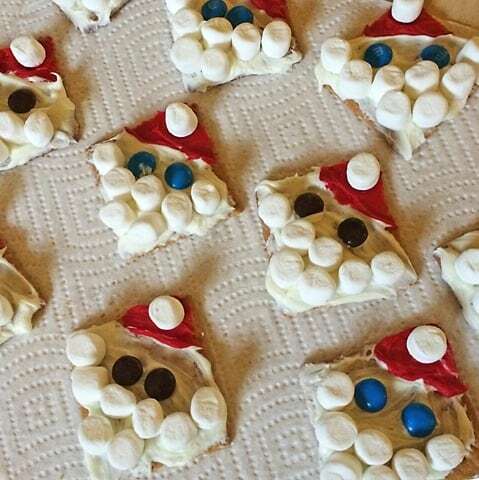 Graham crackers, vanilla frosting (cream cheese is a good sub to cut down on sugar), the squeezable tube of red frosting, mini marshmallows, and M&Ms. So much fun. I did the both frostings and the kids did the marshmallows and candy. Ornament story: See this lovely example of Telluride, Co? Our tree is covered with travel ornaments, and many of them from places we have visited often. We have good collection of Breckenridge ornaments. We have been to Telluride area more than any other area of CO. But only 1 ornament. why? This thing cost $45.00. What about this demands such a price? 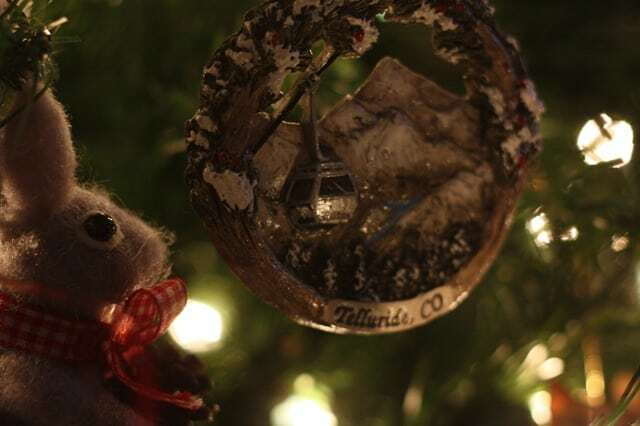 Maybe because there is only 1 store in Telluride that sells ornaments. We bought this on our 3rd trip there and finally gave in and bought the darn thing. We just write the years on the back as we return. Telluride is in my favorite mountain range of CO, the San Juans. I could stare at those peaks every day of my life and never get bored. So the moral of the story….some ornaments cost more than a kitchen appliance. I got these quick miles in before work. I woke up more tired than when I fell asleep, but I knew I didn’t want to attempt running after our project long faculty meeting today. Changes are a’ coming to our little neck of the school woods. Workout– Run 2.8 miles. Easy peasy. Waiting for the weather to get frightful so I can hope for snow. Merry monday!